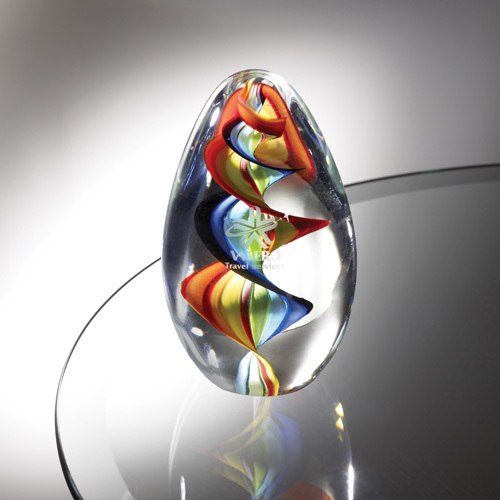 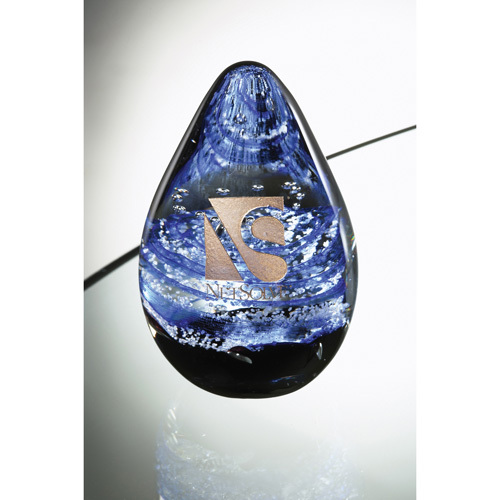 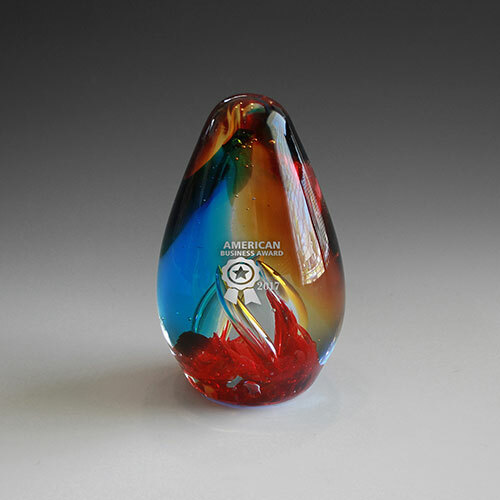 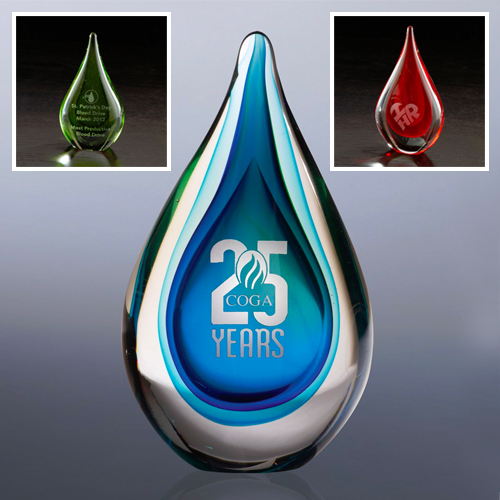 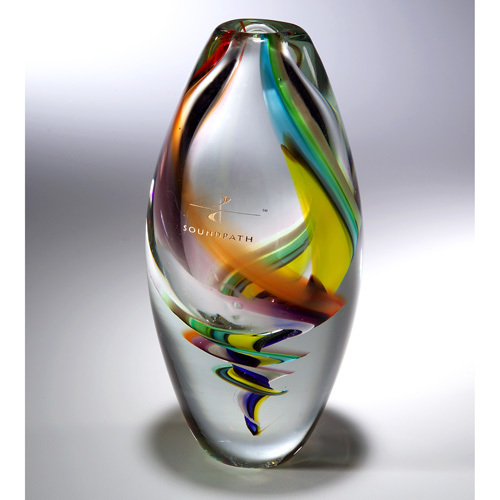 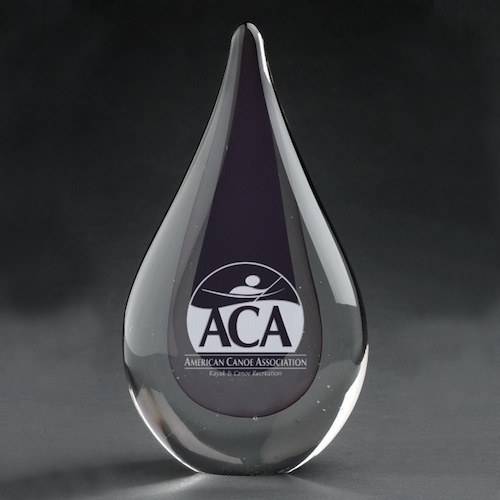 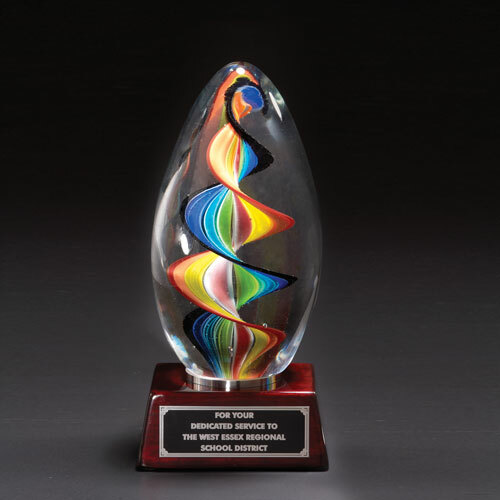 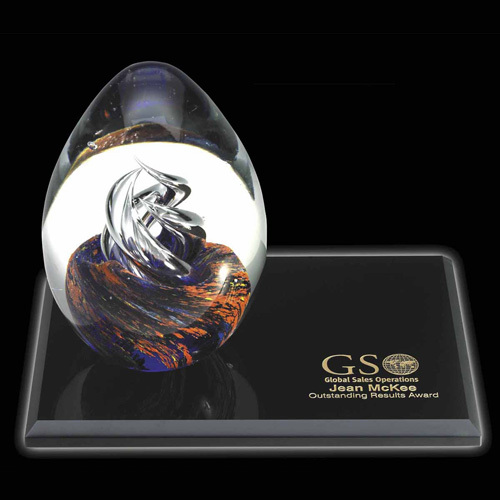 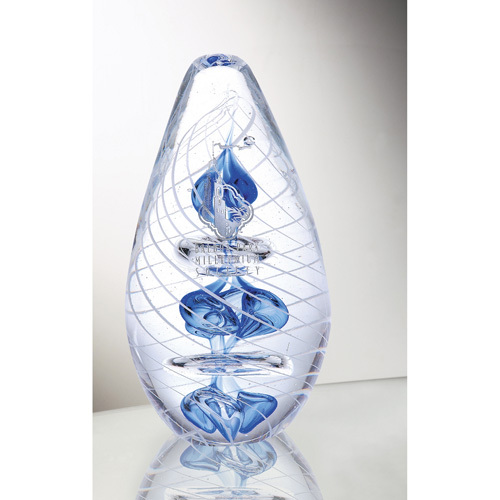 Garrett Specialties carries a brilliant array of Art Glass Awards. 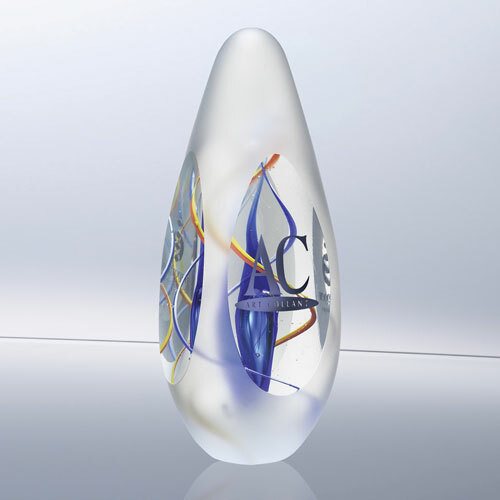 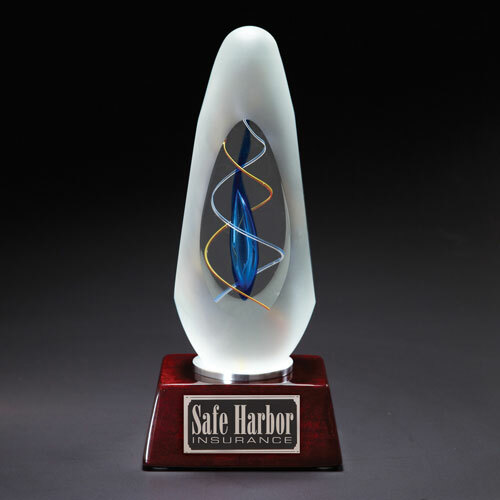 Glass trophies and creative glass awards represent honor and excellence. 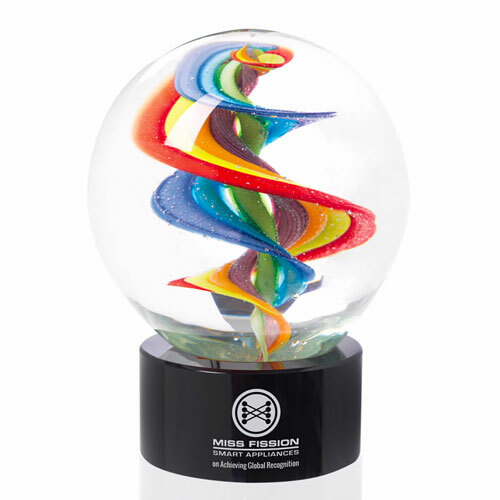 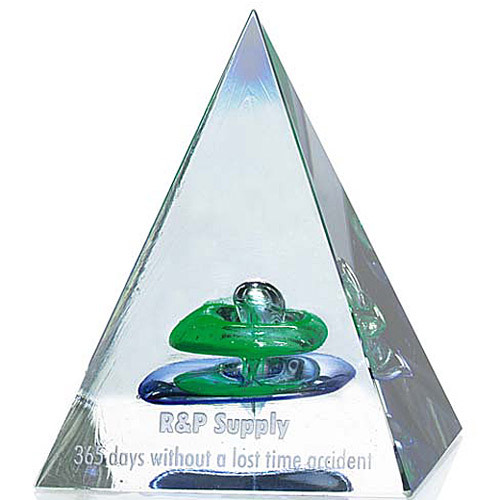 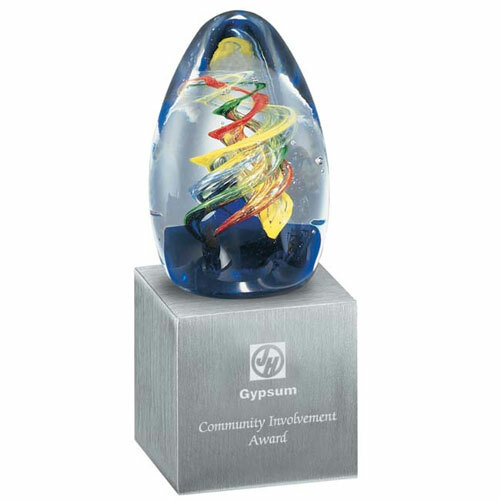 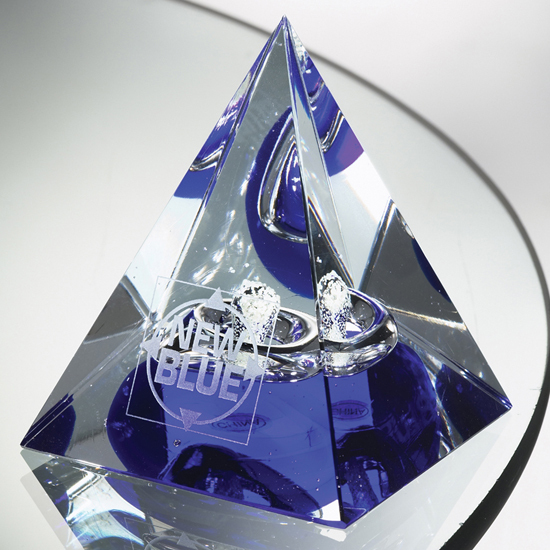 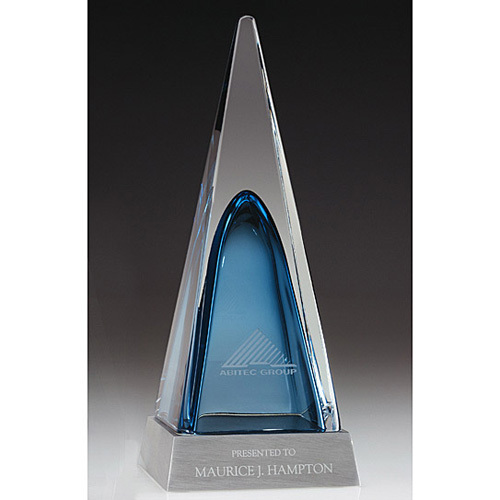 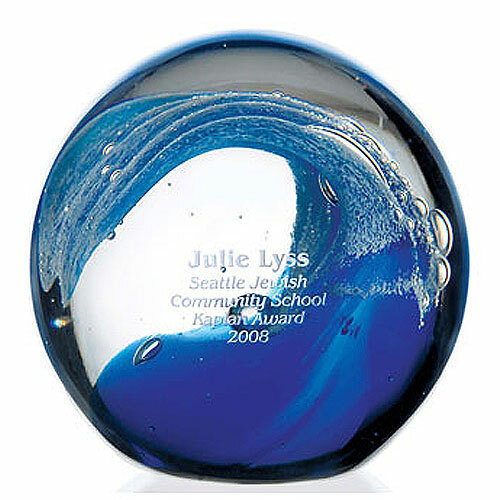 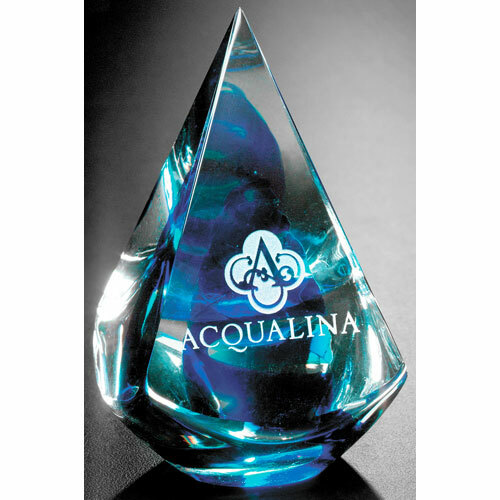 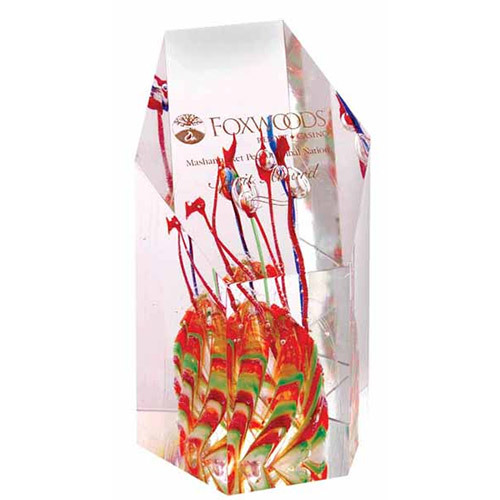 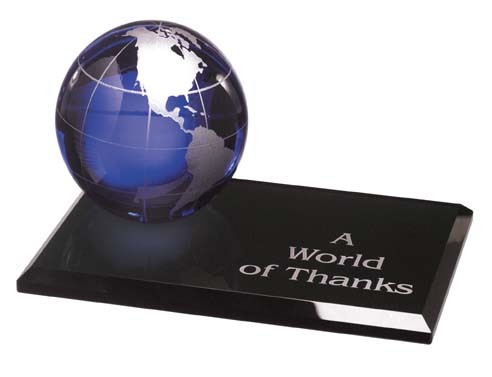 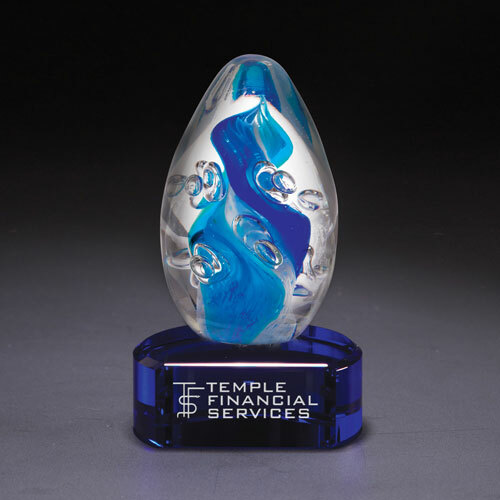 Art crystals are used for employee recognition and achievement awards. 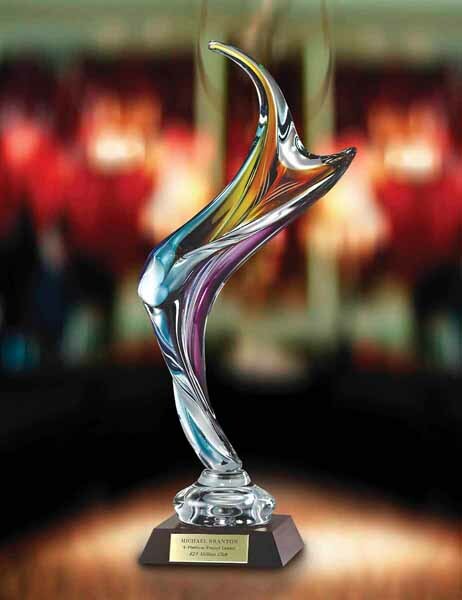 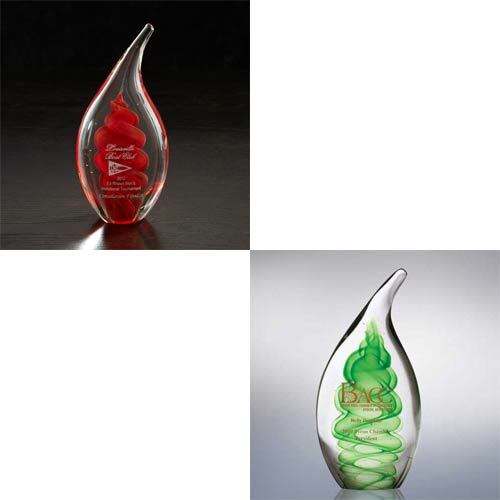 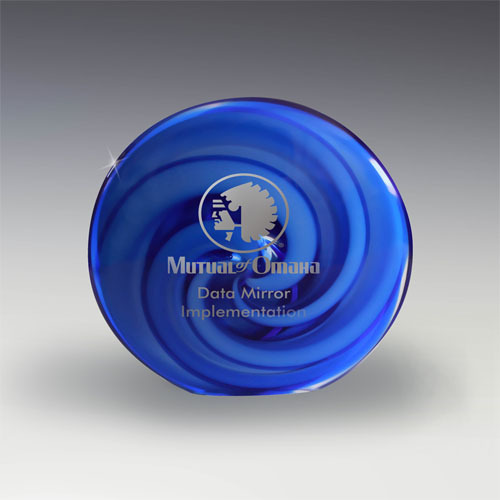 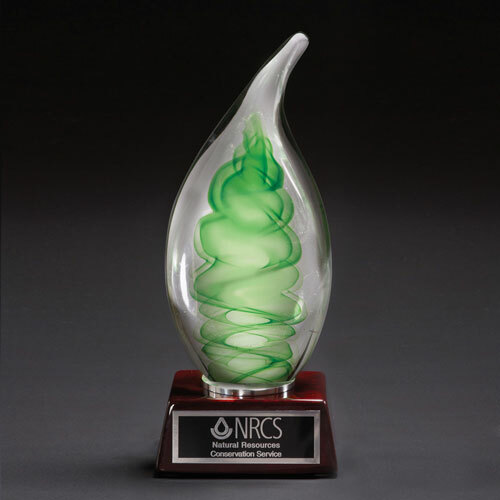 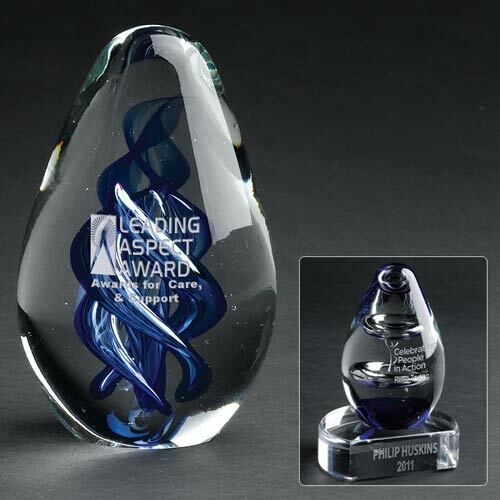 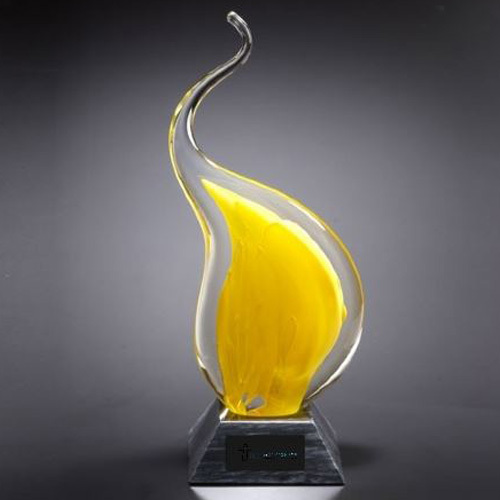 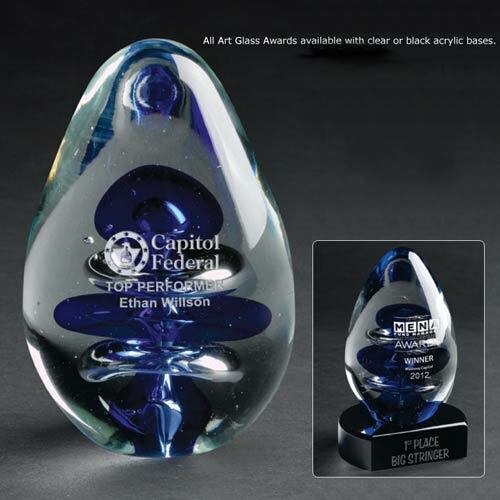 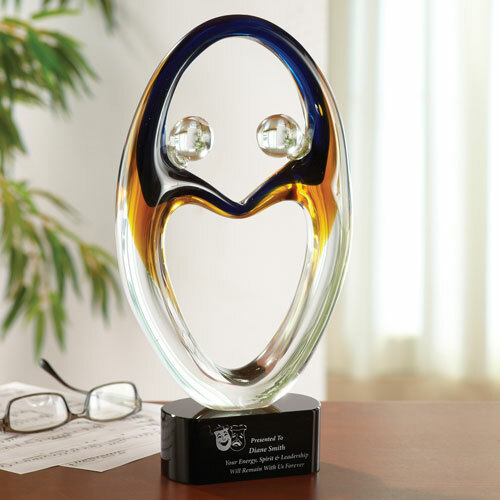 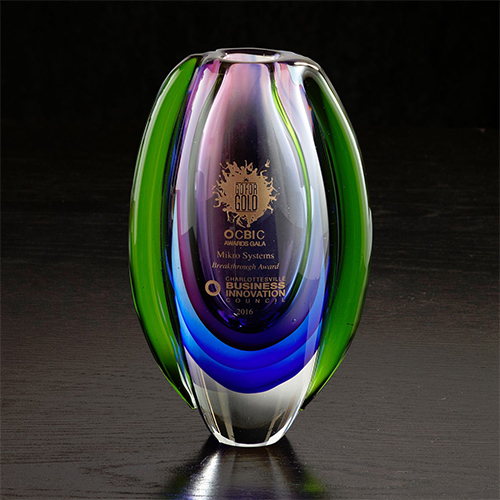 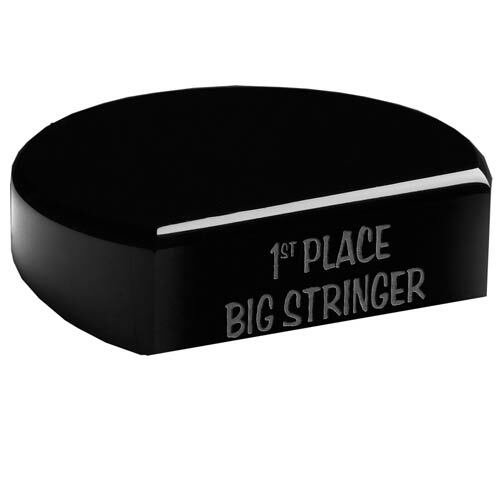 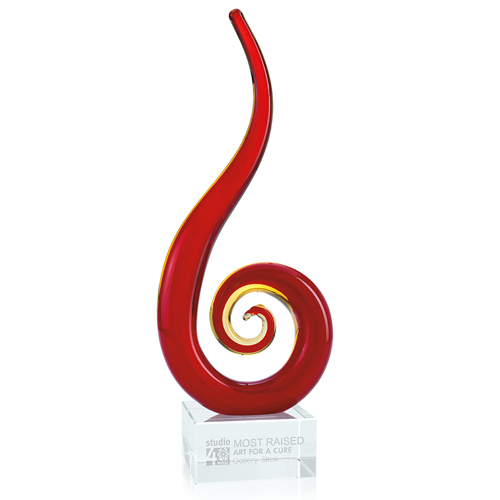 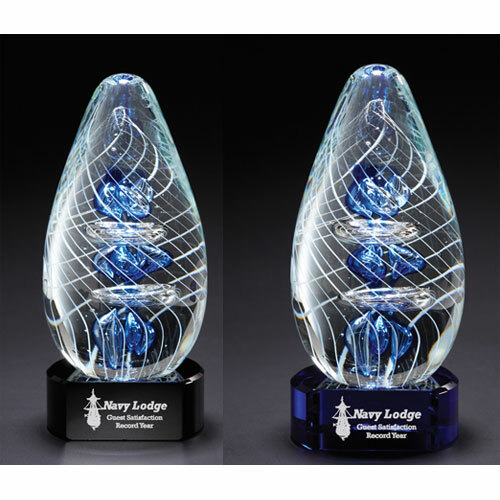 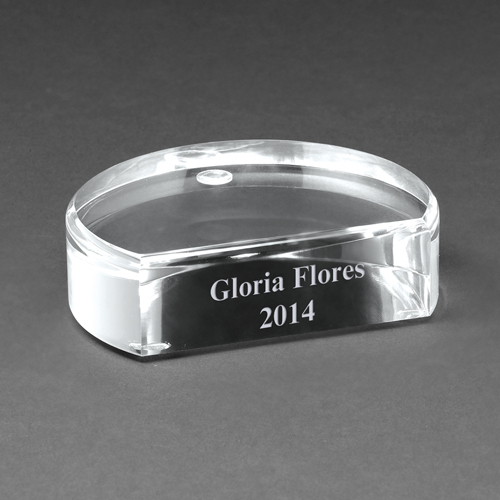 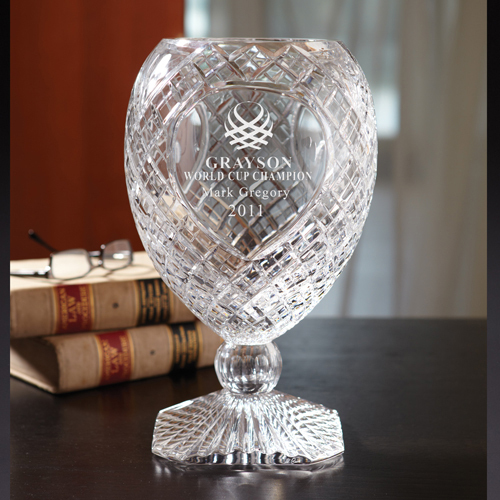 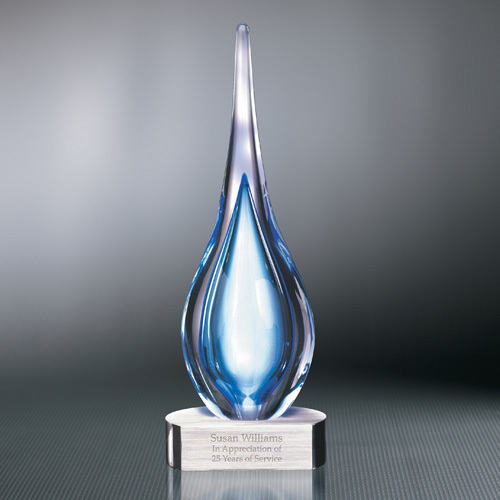 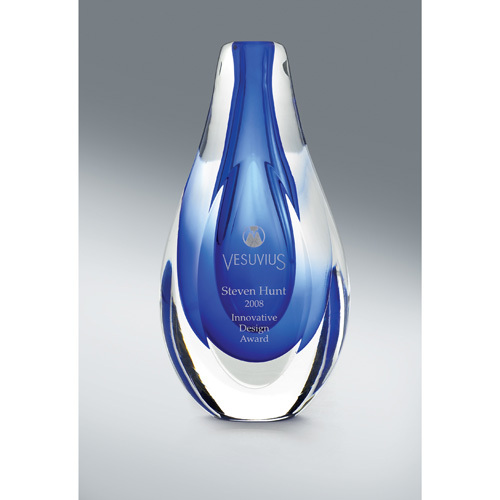 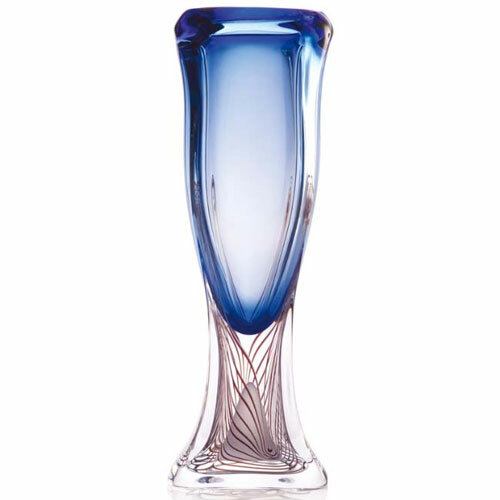 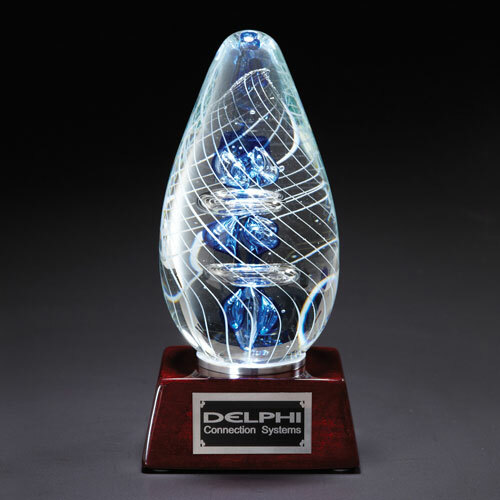 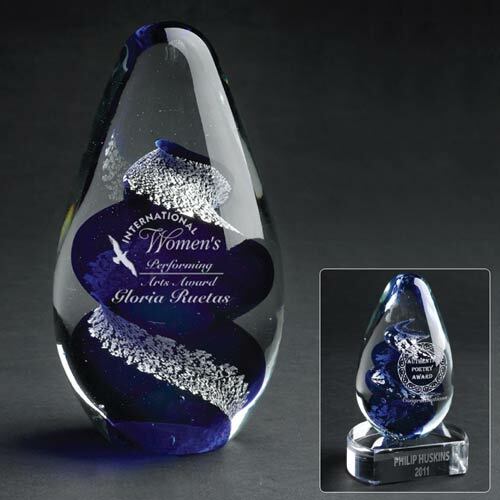 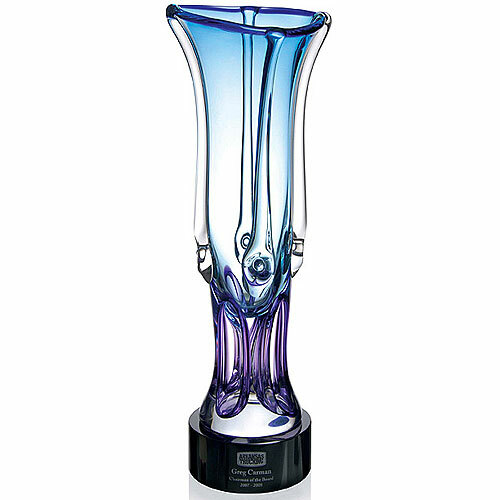 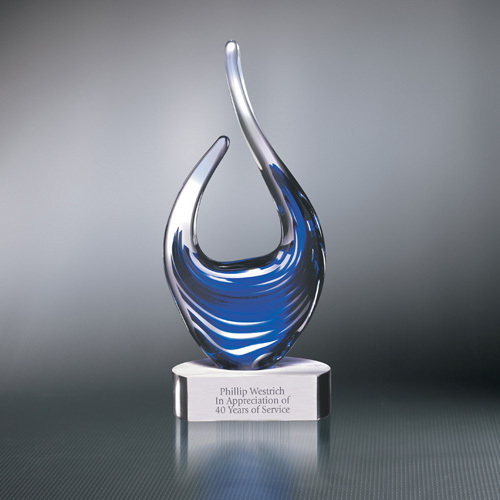 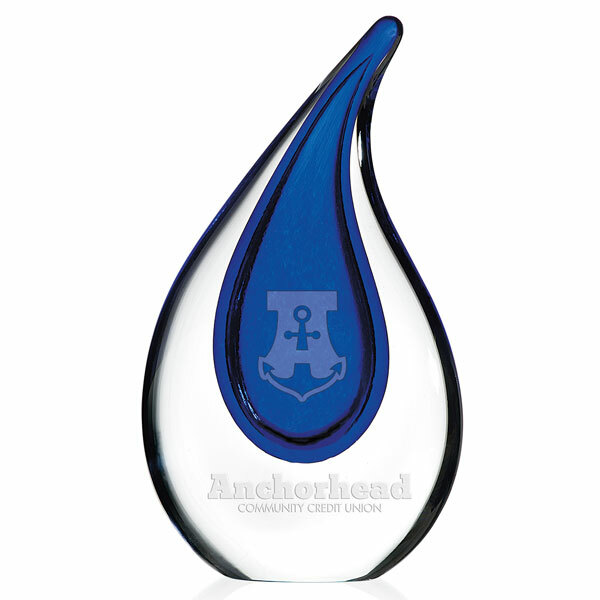 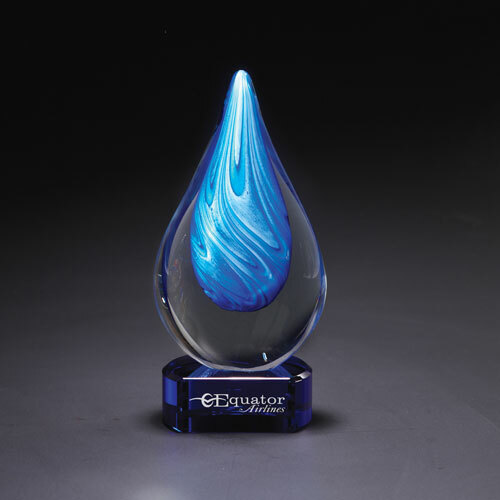 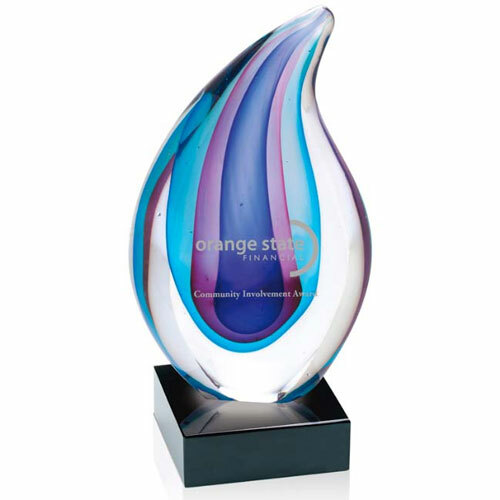 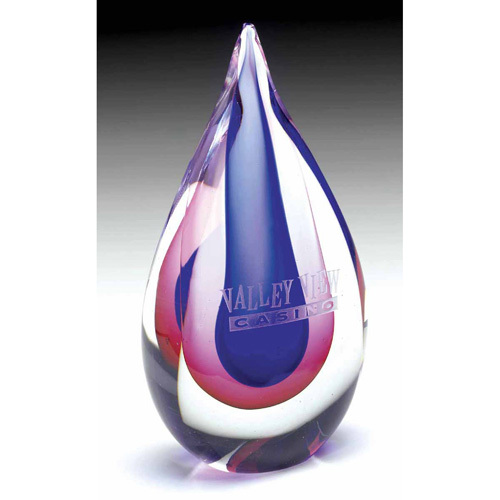 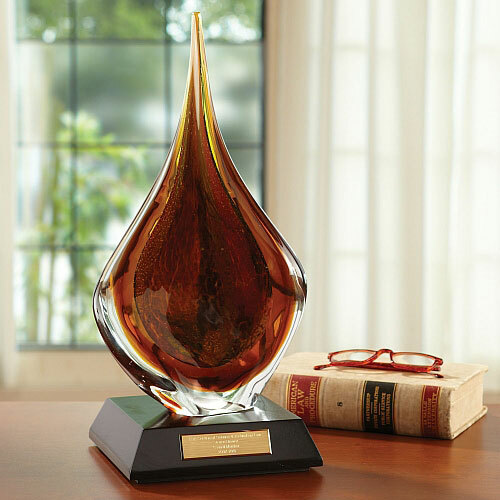 Here you will find glass-crafted awards in many different shapes and unique promotional awards like the glass vase, art glass paperweight, and glass platter.